In the City of Palm Desert and surrounding areas, turn to All Counties Fence and Supply for the very best in supplies and installation services for outdoor projects. Whether your needs are residential or commercial, you can count on our proven track record for proficiency, courtesy and reasonable pricing. Every day, we help Coachella Valley’s rural and urban communities meet their ideal requirements for projects large and small. 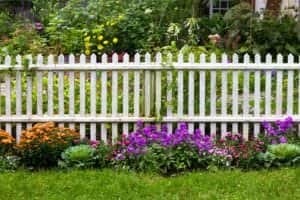 Wood Fences – The organic look and stylistic variation of wood fencing never fall out of favor. Products in this category also provide top-notch privacy and help you keep your property safe. Just as importantly, wood fences that receive occasional maintenance will retain their pleasing appearance for quite a long time. Cedar and redwood form the core of our All Counties inventory. We complement these natural options with a long-lasting, space-age composite called Rightwood, which features wood’s most prized properties. 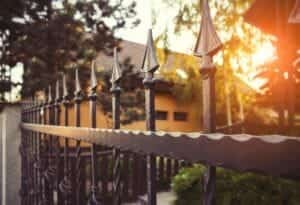 Iron Fences – Beloved for its combination of functionality and beauty, wrought iron has had a long history as a fencing material. Today, fences in this category are often made of galvanized, tubular steel, not iron. This material provides the same core advantages as traditional metals, while also making it easier to prime a fence and add an outer layer of paint or powder coating. We exclusively feature “iron” fencing made from high-quality tubular steel. While it will cost a bit more at installation than wood or other fencing materials, most homeowners and business owners see a significant benefit in both increased durability and a reduced need for ongoing maintenance. Vinyl Fences – In terms of durability and visual appeal, vinyl was once viewed as a poor alternative for fencing made from wood or metal. However, decades of research and refinement have led to the creation of high-quality options that are far superior to the products of the past. Modern, well-manufactured vinyl now serves as functional, attractive fencing material while still retaining a relatively low cost. At All Counties, we feature products from Ply Gem, recognized throughout the industry as a leader in both stylistic choice and overall quality. 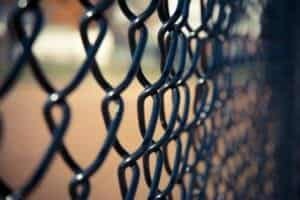 Chain Link Fences – With its versatility, durability and affordability, low-maintenance chain link is another popular option for residential and commercial fencing. A short list of this product’s potential uses includes the creation of everything from court enclosures and animal housing to boundary markers and temporary or permanent security fences. Our entire chain link inventory revolves around superior products that contain embedded strands of fire-rated glass. We install everything we carry. In addition, we can tear down and replace any fencing you already have installed. 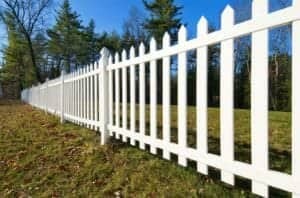 Specialty Fences – In the fencing industry, the specialty label is applied to a diverse group of products that serve unique purposes or come with unusual design features. In rural and agricultural communities, items that fall into this category include the lodge pole fencing and metal pipe fencing used for large animal enclosures. Examples of residential specialty products include cable fences and panel or wall fences made from glass. All Counties carries an extensive selection of options suitable for residential or rural/agricultural use. In addition to performing an expert in-house installation, we can supply you with the materials for a third-party installation. We also carry and install a complete slate of hardscaping-related accessories. Wall Construction – Wall construction is often lumped together with other types of hardscaping projects. 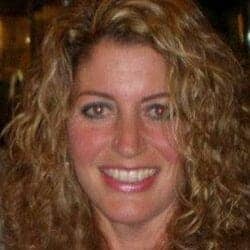 However, in reality, the expertise required for this kind of work places it in a separate, specialized category. From functional retaining walls to purely decorative options, All Counties is your source for professional work that meets your aesthetic needs while maintaining a constant focus on safety and time-tested construction techniques. Palm Desert is situated east of Palm Springs in Riverside County’s Coachella Valley. Previous names for the community include Old MacDonald Ranch and Palm Village. With 50,000-plus residents, the city has nearly quintupled in size since the early 1980s. And every winter, an influx of visitors from colder parts of the country adds thousands more people to Palm Desert’s population. Temporary and permanent residents enjoy access to roughly 30 local golf courses. In addition, the city maintains a total of 14 parks. Nearby attractions and points of interest include the Coachella Valley Wildlife Refuge, McCallum Theatre, the Living Desert Zoo and Gardens, and the Santa Rosa and San Jacinto Mountains National Monument. All Counties Fence and Supply meets the needs of Palm Desert and other Coachella Valley communities from our headquarters in Riverside. Our service area also includes the rest of Riverside County and neighboring San Bernardino County. Whether you need A-to-Z product installation or access to the region’s best selection of outdoor supplies, we’re your preferred destination. No other provider can top our professionalism, decades of local knowledge and commitment to affordability. For more information on our reliable warranties and free estimates, call us today.